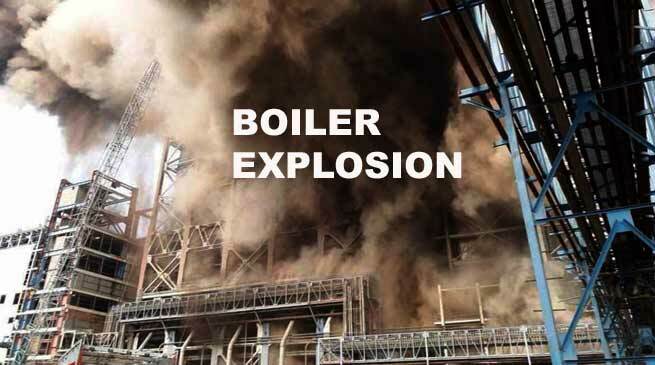 Ten people were killed and around 100 injured after a boiler exploded this evening at a state-run NTPC power plant in Raebareli in Uttar Pradesh. The boiler pipe burst in the newest 500 MW power generating unit in the plant that is nearly 30 years old. The plant started generating power in 1988 with five units of 210 MW each. The sixth unit was commissioned this year. Chief Minister Yogi Adityanath, who is in Mauritius on a three-day official visit, has ordered Rs.2 lakh for the families of the dead and Rs. 50,000 for the seriously injured.